In a letter dated 13 April 2018, Ms Nela Kurubović, Minister of Justice of Serbia, made a request for an opinion by the Venice Commission on the draft Amendments to the constitutional provisions on the judiciary (CDL-REF(2018)015, hereinafter, the “draft Amendments”). In November 2017, the Ministry of Justice of Serbia (hereinafter, the “Ministry of Justice”) had asked the Venice Commission for assistance in drafting constitutional amendments pertaining to the judiciary. The Venice Commission appointed Mr James Hamilton, a former member of the Venice Commission,1 to travel to Belgrade, Serbia and to attend meetings with the Ministry of Justice and other stakeholders with a view to providing assistance to the Ministry of Justice in drafting a constitutional amendment proposal on the judiciary, in line with previous Venice Commission opinions, and to report back to the Venice Commission. Mr Hamilton travelled to Belgrade twice (November 2017 and January 2018) and submitted his report to the Ministry of Justice in January 2018. On 22 January 2018, the Ministry of Justice published a working draft of amendments to the Constitution. Mr Hamilton informed the Venice Commission about his report and visits to Belgrade during its 114th Plenary Session in Venice, Italy on 16-17 March 2018. The terms of Mr Hamilton’s engagement were not to act as a representative of the Venice Commission, but to assist the Serbian authorities by informing them about previous relevant opinions of the Venice Commission. Mr Hamilton did not co-draft provisions, but provided advice on a previously drafted concept paper prepared by the Ministry of Justice. For the present draft opinion, the Venice Commission invited Mr Johan Hirschfeldt (Sweden), Ms Grainne McMorrow (Ireland), Mr Jørgen Steen Sørensen (Denmark), Ms Hanna Suchocka (Poland) and Mr András Varga (Hungary) to act as rapporteurs. On 10-11 May 2018, a delegation of the Venice Commission, composed of Ms Grainne McMorrow, Mr Jørgen Steen Sørensen, Ms Hanne Suchocka and Mr András Varga accompanied by Mr Thomas Markert and Ms Tanja Gerwien from the Secretariat, visited Belgrade and met with (in chronological order): Mr A. Vucic, President of Serbia; the Head of the Delegation of the EU to Serbia; the Prime Minister; the Minister of Justice; the Minister of European Integration; Committees of the National Assembly2; the President of the Supreme Court of Cassation, the Chair of the High Judicial Council (HJC); the HJC; representatives of IOs and members of the diplomatic community; the President of the Constitutional Court; the Republic Public Prosecutor, the Chair of the State Prosecutorial Council (SPC); the SPC; the Judicial Academy; Associations3 and NGOs4. The draft Amendments were prepared by the Ministry of Justice, following the adoption of the National Action Plan for Chapter 23 of the accession negotiations by Serbia with the European Commission, opened in July 2016, with the aim of depoliticising the judiciary and to strengthen its independence. The draft Amendments were adopted by the Government of Serbia prior to being submitted to the Venice Commission for the present opinion. The Venice Commission was informed that the formal amendment process will be initiated by the National Assembly of Serbia after the adoption of the present opinion by the Venice Commission. The Venice Commission was concerned to learn – from the numerous reports and comments that it had received and from its delegation’s visit to Belgrade – that the important process of amending the Constitution of Serbia of 2006 in its sections pertaining to the judiciary in order to bring it into line with European standards, began with a public consultation process marred by an acrimonious environment. Nevertheless these consultations led to substantial – and positive – amendments to the draft. The Venice Commission would like to underline that this acrimonious environment is counter-productive for a process, the aim of which is to bring all relevant actors together in order to achieve a common goal, which is to bring Serbia’s judiciary into line with European standards. 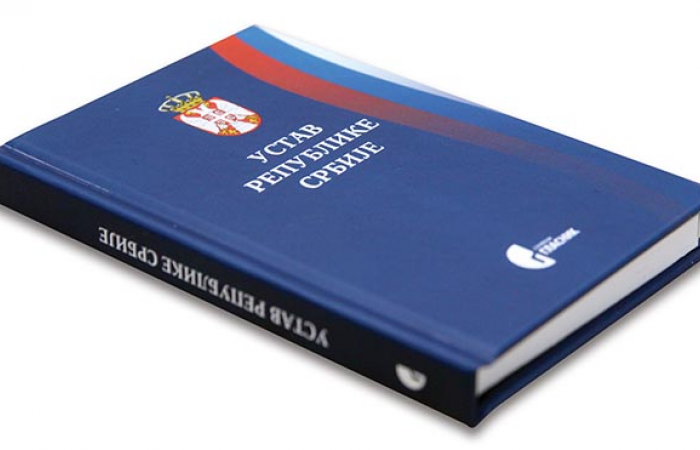 It therefore encourages the Serbian authorities to spare no efforts in creating a constructive and positive environment around the public consultations to be held when the National Assembly will examine the draft amendments, in the interests of the country’s entire process of judicial reform – a process that also involves the important alignment of secondary legislation on the judiciary with the amendments, all of which is to be achieved within a very short period of time. The present draft opinion was prepared on the basis of contributions by the rapporteurs and on the basis of an unofficial translation of the draft Amendments. Inaccuracies may occur in this opinion as a result of incorrect translations. This opinion was adopted by the Venice Commission at its 115th Plenary Session (Venice, 22-23 June 2018), after having been discussed at the Sub-Commission on the Judiciary (21 June 2018) and following an exchange of views with Ms Nela Kuburović, Minister of Justice of Serbia.